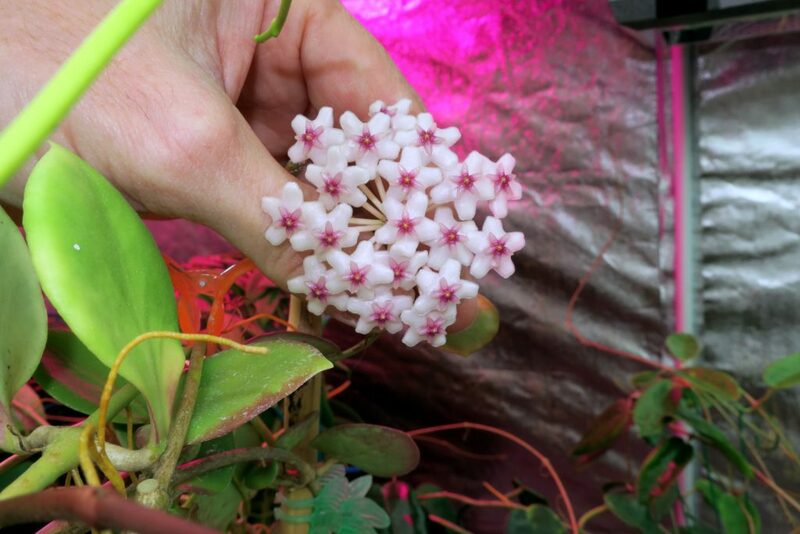 I was very surprised to find these flowers on Hoya sp. NS05-055 when I was moving things around in the tent the other day. You can say a lot of positive things about this little anulata clone, but one thing you can’t say is that it is floriferous! Its lack of flowers just makes it that more special when it does decide to grace us with blooms! This entry was posted in Hoyas on January 15, 2017 by Doug.